The RDS8000 is a full-featured 8-channel system, packed with capabilities for all types of aircraft. 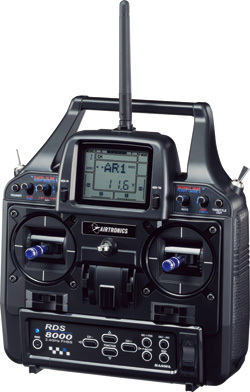 A top-quality digital radio, the RDS8000 is noted for its ease of operation and programming. Helicopter, fixed wing aircraft and sailplane pilots will all benefit when using the standard features of the RDS8000. The RDS8000 makes programming easier by allowing you to turn off any programming screen not required. 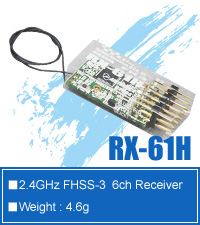 Because it uses Airtronics' FHSS 2.4GHz communications technology you never have to worry about an 'open frequency'. Fly any time with confidence.